These have been difficult days at Holy Cross as the results of our financial pledging program forced us to face some unpleasant realities about our ambitious hopes for the future of our ministry together. Last Sunday we announced that we could not see a way beyond the end of this year to maintain our current level of Team Ministry. This week we have grappled with the unpleasant possibility that without the necessary funding we might not be able to ensure Pastor Tom’s half-time position and indeed, Pastor Dawn’s full-time position was not assured. Toward the end of this week Council was made aware that two families have come forward with generous pledges that will allow us to maintain the current level of Team Ministry until the end of 2016. While these gracious pledges still leave us with projected deficits of approximately $10,000.00 each year, we are confident that together we can meet these needs. 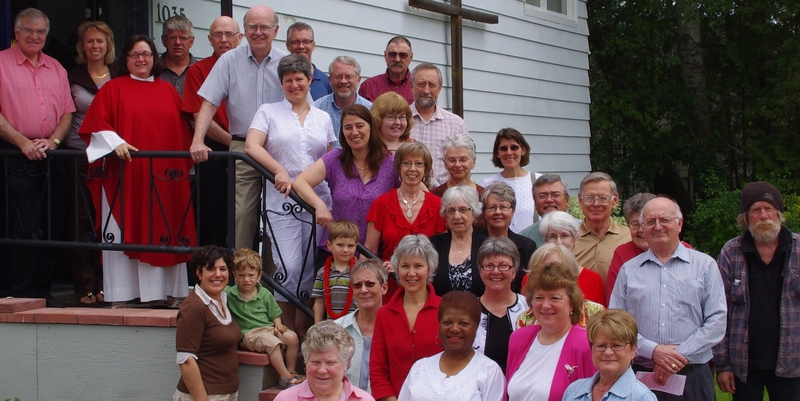 Holy Cross is a small community, just 47 households that graciously support many ministries, including this blog. Not many small congregations stretch themselves in the way that Holy Cross continues to stretch, employing one full-time and one half-time pastor, and a part-time musician, while bringing world-class speakers to challenge the wider community to ReThink Christianity, engaging in a lively adult education program, supporting a generous outreach program, producing splendid worship and music, engaging in a first rate Global Justice program, all while coping with the challenges of our building. This sermon is an attempt to articulate the roller-coaster ride that we have been on this week and embrace the nature of the intensity of our wonderful life together in, with, through, and beyond the Reality we call God.